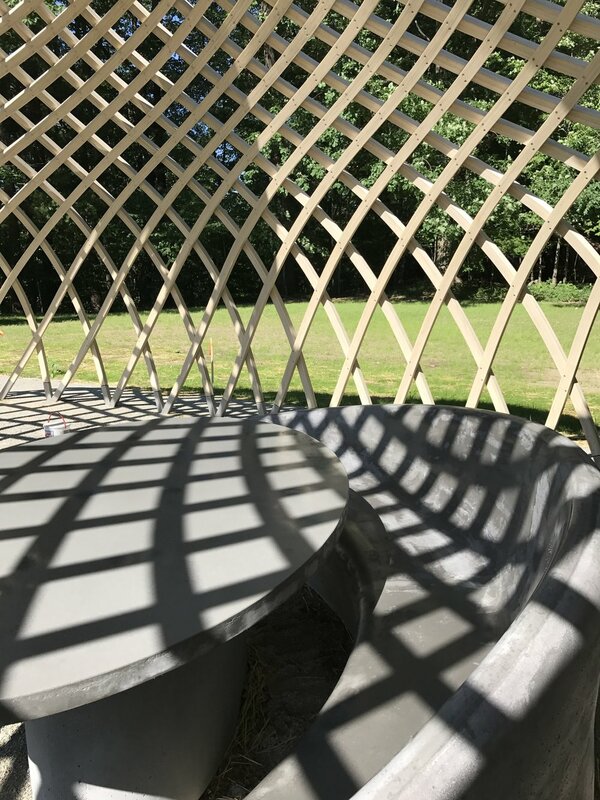 Affectionately known as The Nest, we designed the formwork for the Ductal® bench to be cast as one single monolithic element with varying degree of texture as conceived by RDAI. 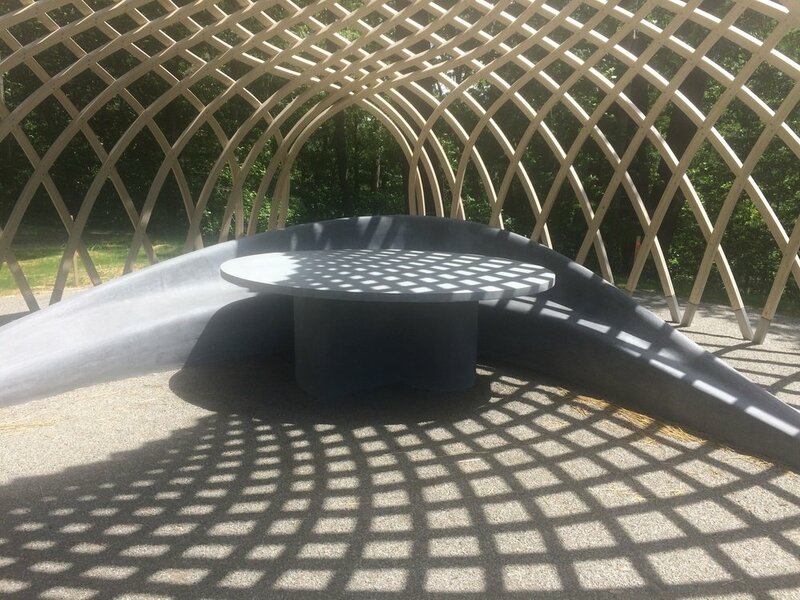 Working with this Paris architectural firm and the Boston landscape team of Reed Hilderbrand, the bench and table sit within a specially constructed wooden lattice. The German fabrication firm of shipped the lattice to the site and our pieces were oriented to take advantage of the topography for the quiet viewing of the migration of the small endangered bird, the babcock. 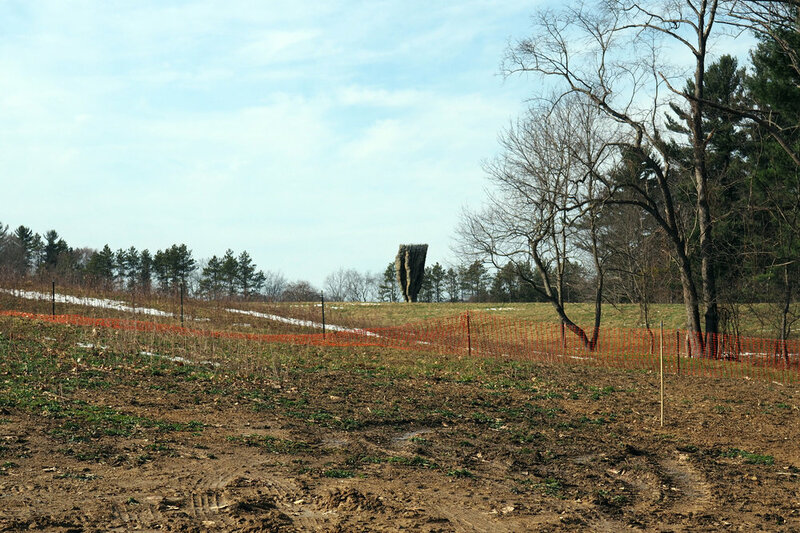 The private estate features works by Andy Goldsworthy, Richard Serra, Sol Lewitt, and Ursula von Rydingsvard, among others. 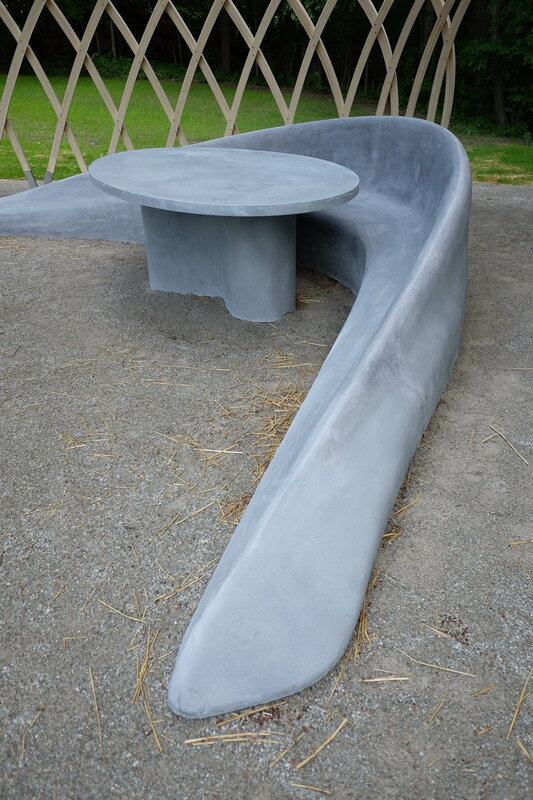 It was an amazing fabrication and unique opportunity to engage the landscape on such a personal scale.